Rhodonite's name derives from the Greek word meaning "rose-red," and it usually that color, though it can also be brownish red. Rhodonite frequently contains black inclusions of manganese oxide. Like other stones of the Pink Ray, Rhodonite promotes the energy of love. 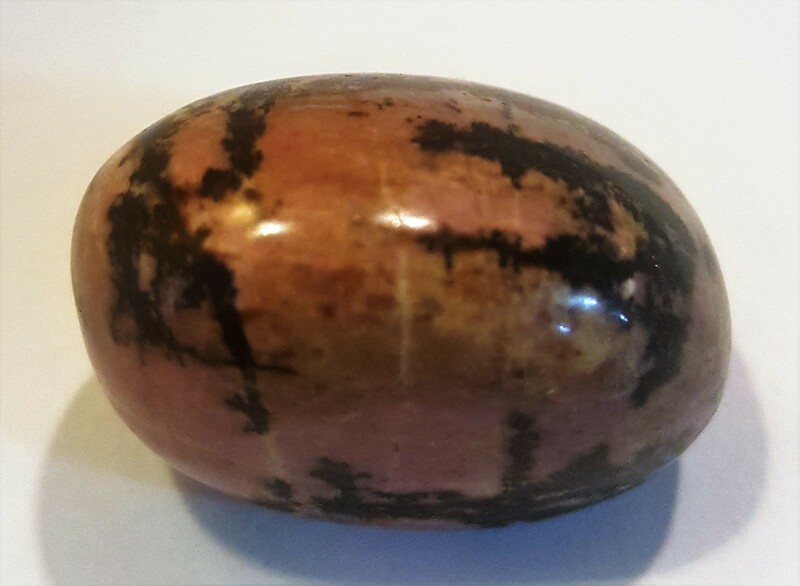 In meditation and dream work, Rhodonite can enhance the depth, clarity and meaning of one's inner experiences, making it easier to understand the messages behind the dreams and visions. Rhodonite also aids in perceiving where one's talents lie, and in using those talents for the highest good of all.